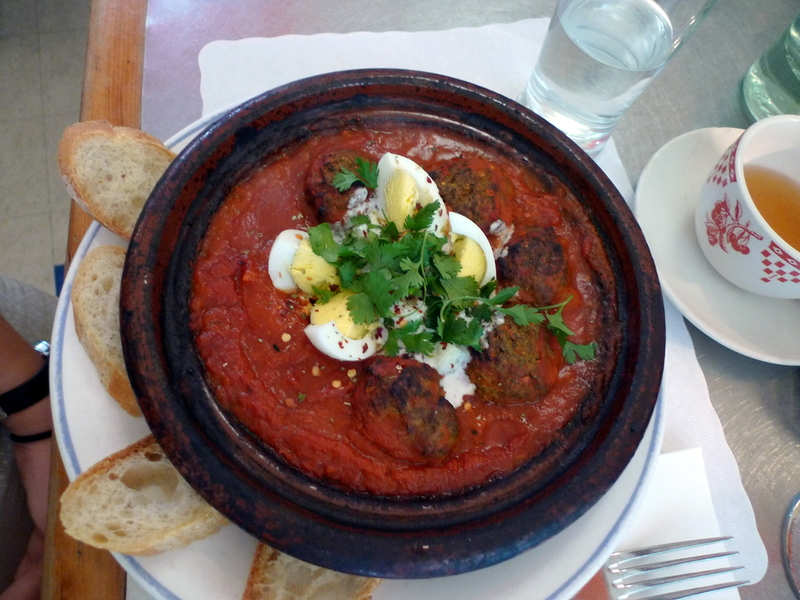 The original French-Moroccan café in Nolita has continued to attract all sorts of artsy hipsters and fashionistas ever since it opened circa 2000. The offshoot that opened in November 2010 in the Jane Hotel of West Village is equally packed with the same type of crowd. 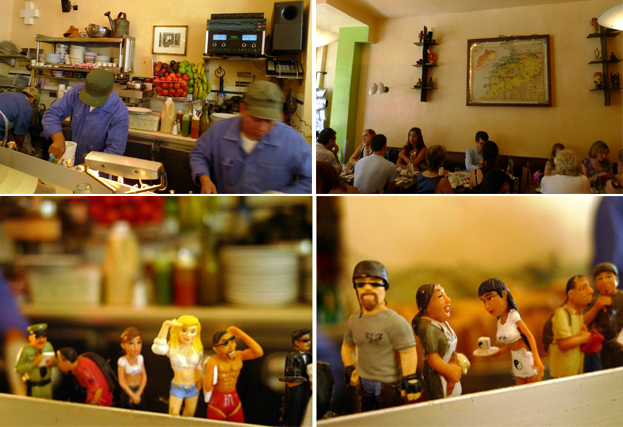 Like with any trendy scene, one would assume the food is more a sideshow to the main attraction. 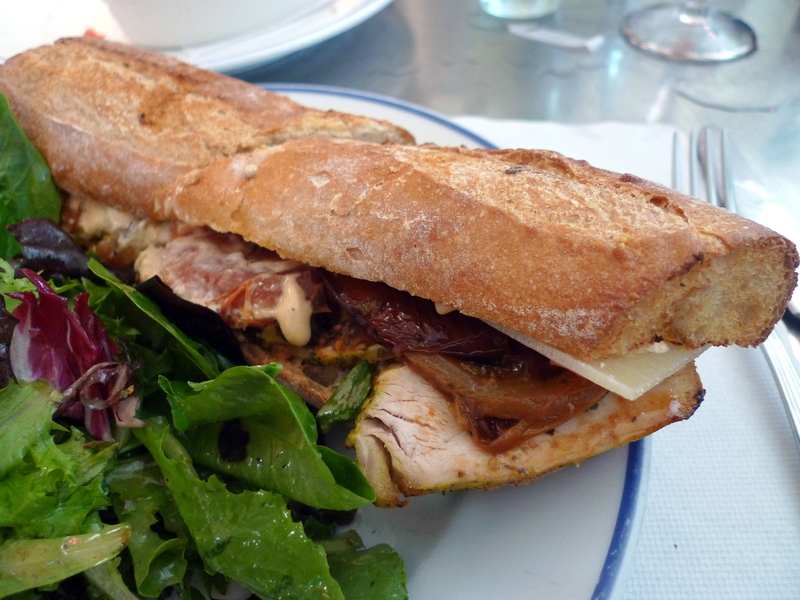 However, over many repeat visits for brunches and dinners, the food has really grown on me. The food is good, not great, but that is better than the indifference I held before. Everything is simple and satisfactory, and that works for me. 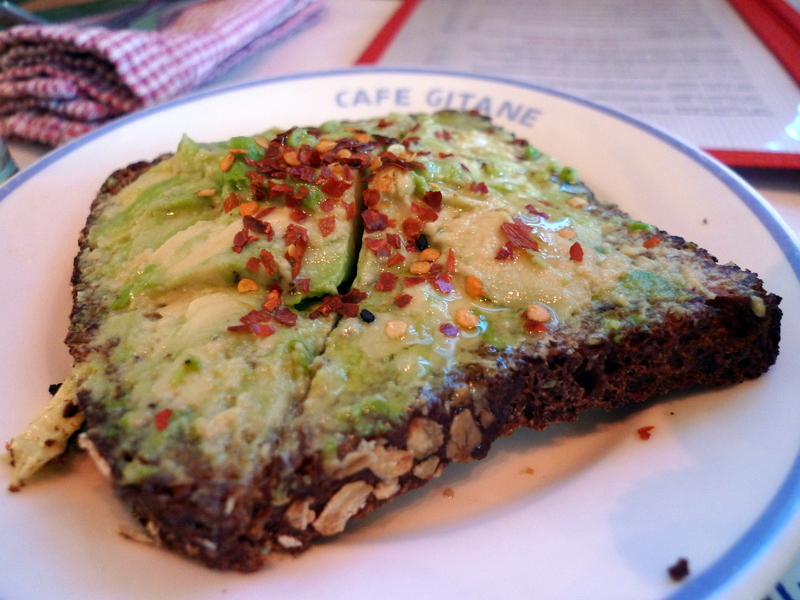 I have been to the original Cafe Gitane in Nolita a few times for brunch and have eaten dinner at the second Cafe Gitane located at the Jane Hotel in West Village. The Nolita location is bright and cheery (pictured above) whereas the Jane Hotel location (pictured below) is a bit more dimly lit, moody, and more than twice the size. Other than the lighting and size, everything else is pretty much identical between the two restaurants: the hip vibe, the clientele, the menus, and even the lime green dresses the waitresses don. 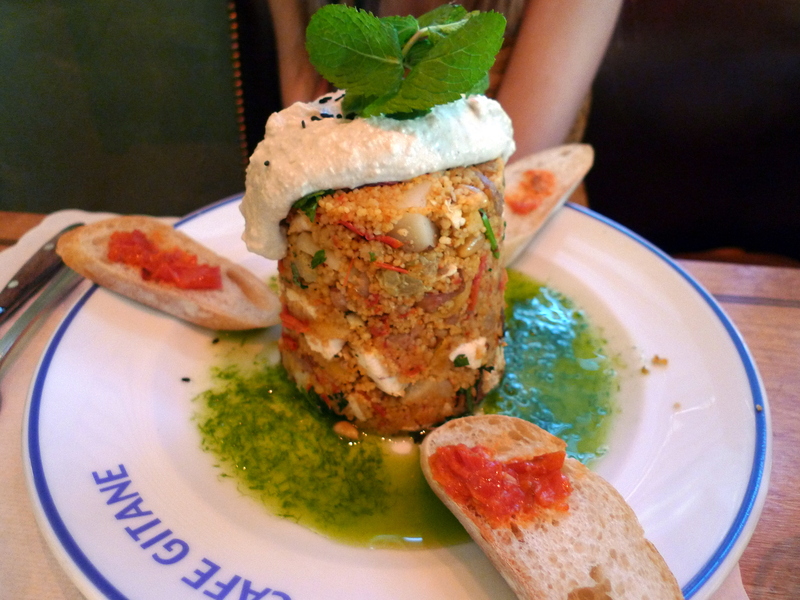 This is a great spot for a casual meal with a small group, brunch with the girls, or a date with a vegetarian. 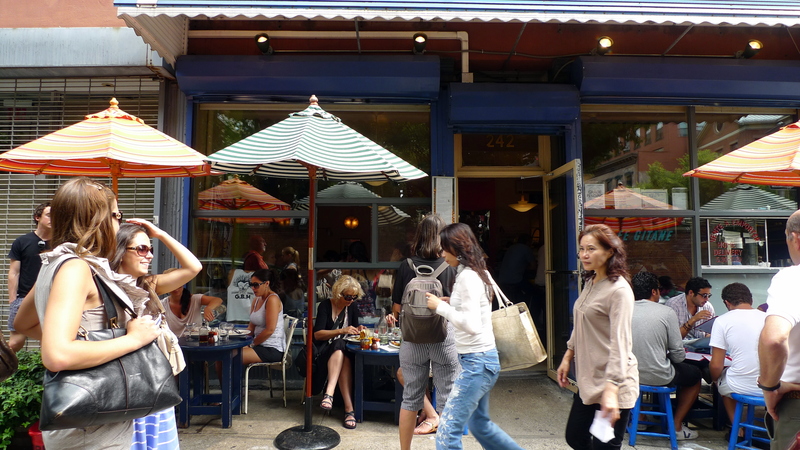 The team looks to expand again with an Italian restaurant called Antonio’s on Chrystie Street. The spot will feature family-style Italian cuisine and supposedly will only have nine tables. We shall see how this develops! 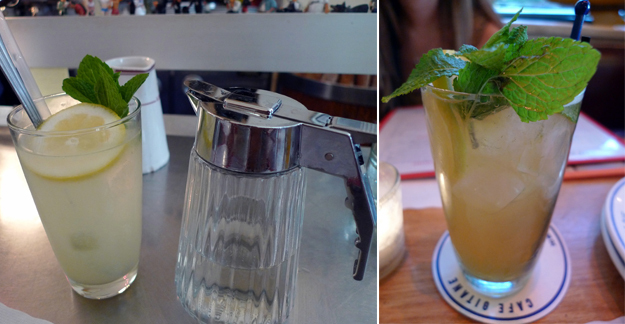 The Citron Pressé is pure fresh squeezed lemon juice, and thankfully comes with syrup so you can sweeten your beverage. Iced Mint Tea is a smooth and refreshing classic. I loved this Moroccan Bloody Mary (I think it had peanuts and Sriracha) which I had at the Jane Hotel and unsure if Nolita serves it. 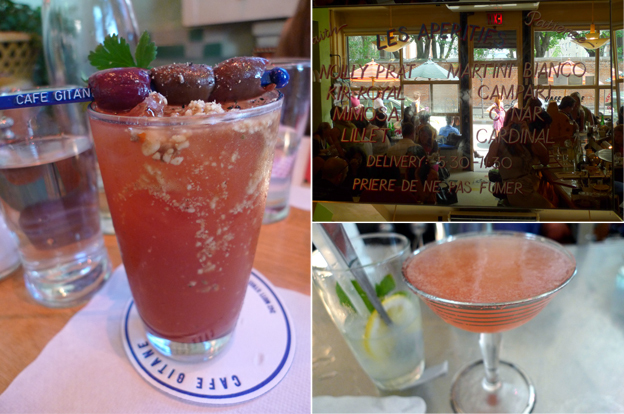 The Watermelon Mimosas with freshly squeeze watermelon juice (which you can order virgin) are a Cafe Gitane brunch classic. 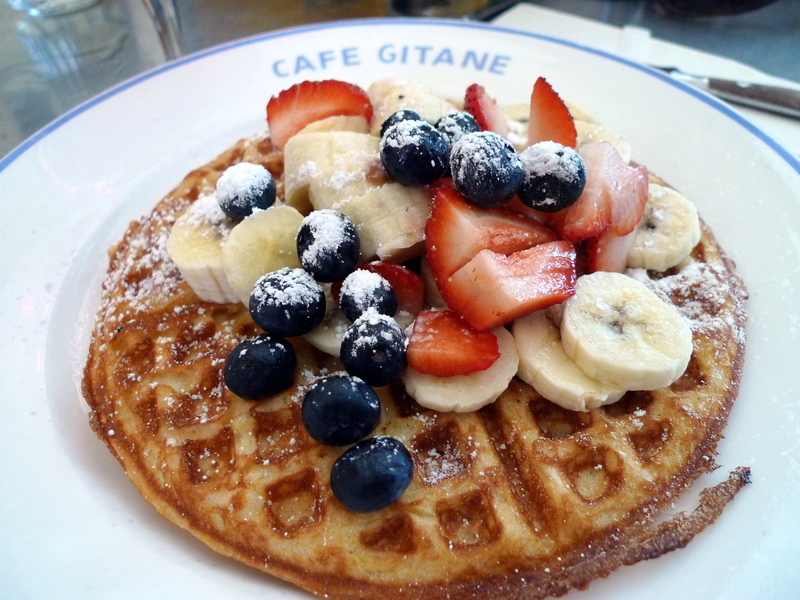 You can absolutely taste the orange in the waffle batter… yum! So basically this is avocado spread on multigrain with a bit of seasoning. 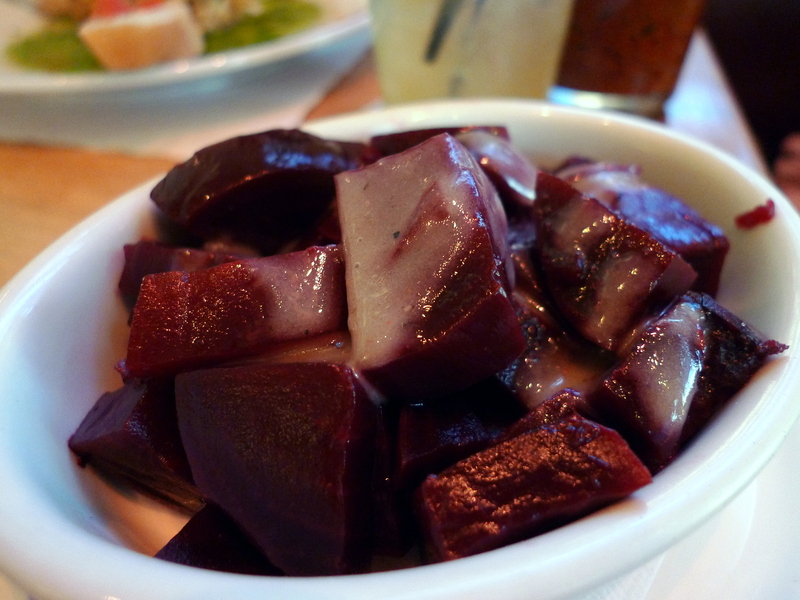 So simple and yet so good, and everyone on yelp raves about it. Clearly a cash cow for the cafe… I’d rather just make it myself at home. I love cold salads with glass noodles but this was a lot more bland than would be expected with that entire pile of ingredients. 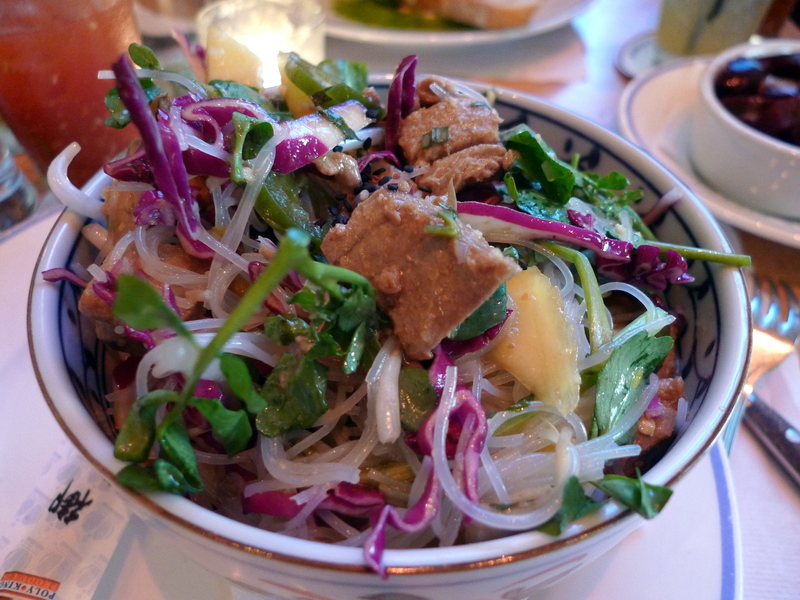 I would stick with the true Mediterranean dishes here and leave the Asian dishes elsewhere (try Republic’s Vietnamese Vegetables and Glass Noodles dishes). Soooooo filling. Sooooo delicious. I always try to eat this without toppling the tower, but it’s inevitable. I have no self-control. 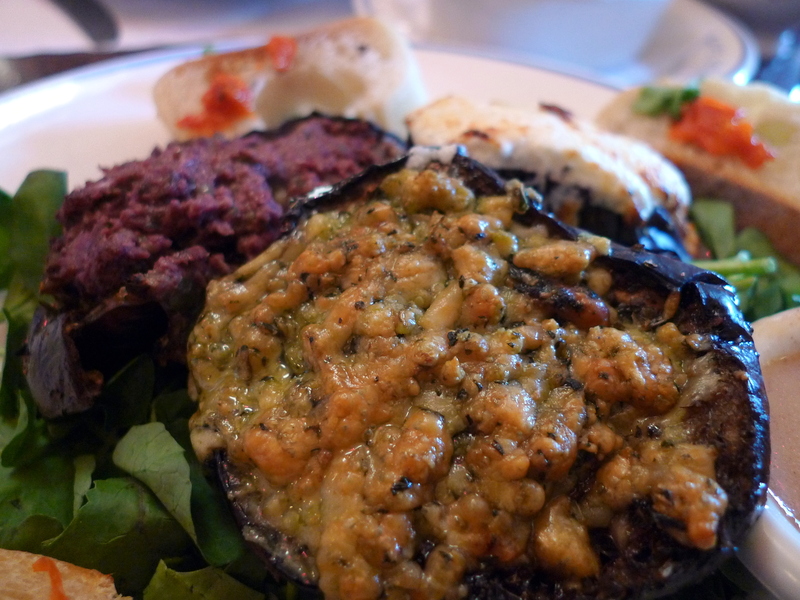 My favorite was the pesto topped grilled eggplant, which seemed to also had a thick layer of melted Parmesan cheese. The olive tapenade was a bit overpowering. I definitely am making this at home but think will try to mix the tapenade, goat cheese and pesto all together evenly for the fillings. Turmeric tomato sauce is fantastic. Very fun and flavorful combination. Check out my version of this dish here!